[W]hen our publisher asked if I would like to review Rick Schultz’s new CT-1 interconnects, my initial response was no. I have already reviewed more cables in the last year than in all the time as a reviewer prior to this one. Still, when he said they were thin and not very stiff, I gave in and said yes. I’ll tell you right now, I am so very glad that I reviewed it. The CT-1 interconnects are from Rick’s new company, High Fidelity Cables. The CT-1 interconnects are the first of a new range of audio cables. Rick Schultz is best known for his work on the Virtual Dynamics cables. If like me, you owned Virtual Dynamics cables, you need to know the new High Fidelity Cables are totally different in one way and the same in another. The Virtual Dynamics cables were some of the thickest, stiffest, and heaviest cables I have ever seen. 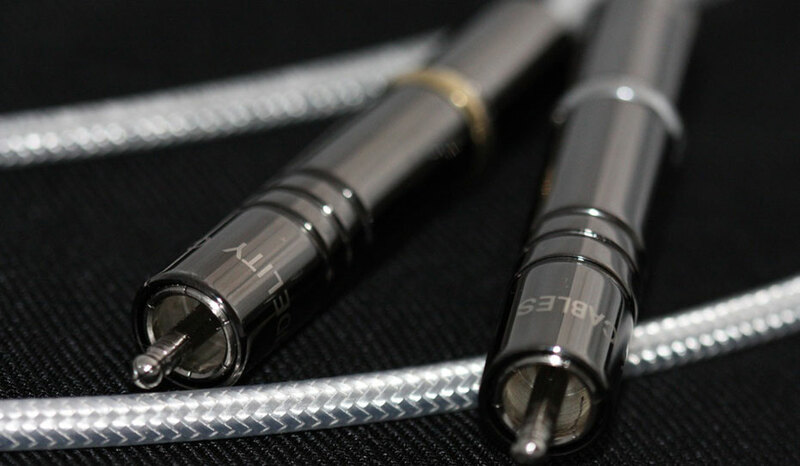 The new High Fidelity cables are ultra-slim, elegant in appearance, but still stiffer than they look. They are easy to use. The workmanship of these cables is the best I’ve seen. The special RCA connectors are the best RCA connectors I have used. There’s none of the trying to turn them to tighten the cable. They RCAs just fit, I mean really fit, better than any other I have used. Installation does require a firm push to ensure what feels like a compression fit. The one thing they have in common with the Virtual Dynamics cables is they both sound great, these much better, though. Speaking of the connectors, the CT-1s use what they call PinLoK RCA connectors. According to their website, “The traditional RCA connector can cause the signal to micro arc across the resistive pathway of the connection. Our patent pending PinLoK RCA connector has an oversized pin that will compress to enter a normal RCA socket. Spring tension then continues to push and expand the inserted pin for maximum contact pressure. This increase in surface contact lowers the amount of micro arcing and reduces distortion.” I have to agree that these are the best fitting connector I have used. 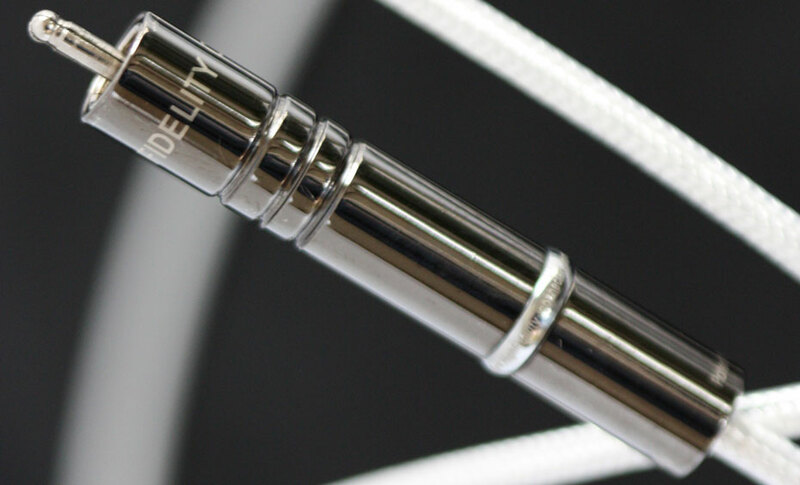 The CT-1 cables use a dual shielded coaxial design that they say has an extremely high rejection capability. This coaxial design, combined with patent pending Magnetic Conduction (see below), gives their cables a class leading ability to filter out unwanted radio waves (RFI) and stray magnetic fields (EMI). I live in the San Francisco Bay Area and have found that I can’t have too many unshielded cable in my system, so this shielding comes as a relief to me. I think the shipping cartons could be improved upon; may I suggest the pizza-like boxes that Audience uses. The CT-1s were shipped in lightweight wooden boxes with each cable fixed to the bottom of the case via plastic strip holder and the terminations housed in holes bored in the front panel. It looks like a waste of money and one box still came broken, and most of the RCAs had come loose. (Rick just advised me that a new box that is stronger, better made with a better fit has replaced the fragile, wooden box. -Pub.) The pins are coated via a special treatment to enhance the connection and we are told not to touch or wipe the pins before inserting them. Looking on the internet, there is definitely some buzz on the audio forums about these cables. Some are claiming the CT-1s outperform cables that cost two to four times the cost of these cables. After listening to some fully broken in CT-1s for a while, I understand the buzz. 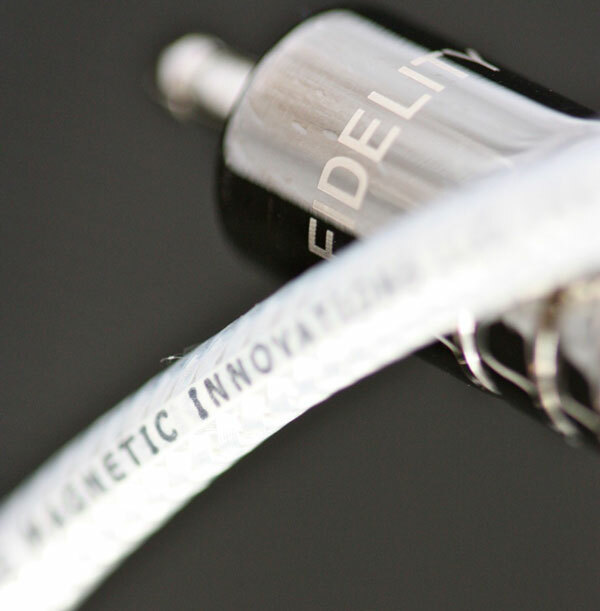 For the CT-1 interconnects, Rick uses technology that he developed in the name of a Magnetic Innovations LLC, called “Magnetic Conduction.” I’m not going to try to explain what I don’t understand, but you can go to High Fidelity Cable’s website and read about it. What I do understand is what they do for the sound of my system. I’m lucky that my system is simple and I only need three sets of interconnects: (1) a tonearm cable, (2) a cable from my Auditorium 23 Homage T1 step up transformer to my Shindo Giscours preamp, and (3) a cable from the Giscours to my Wavac EC300B amp. Rick Schultz’s Virtual Dynamics cables were notorious for needing 400-plus hours to break in. This is pain enough in a digital system, but in an all vinyl system it would be more than just a pain. In contrast, the High Fidelity Cable CT-1 sounded shockingly good when I first installed them in my system. Don’t get me wrong — they do continue to improve, specifically open up and sound airier for what I would guess would be about a couple of hundred hours. Truth is, they sound about 90% of their best after about 10 hours of play. I was expecting to hear some small differences like I usually do from one really good cable to another. What I wasn’t expecting was to hear a such a significant, immediate difference. They create a solidity and musically satisfying sound I had not heard before. They seem to get rid of noises or sounds that I thought were just part of reproduced music, regardless of how good the system was. The insertion of the AMG Viella V12 turntable sitting on its specially designed HRS isolation platform had already brought a degree of quietness to my system I had never dreamed was possible. The addition of the CT-1 interconnects brought about an even quieter, maybe I should say a new kind of quietness, and a more controlled sound. With them in my system, I heard a huge, holographic soundstage, but with an incredible solidity of the images in the soundstage. I experienced a room filling, emotional involving experience that’s really something special. The overall sound is more like what I hear from the “Tape Project” reel-to-reel recordings than from even a superb vinyl system. This great sense of solidity and control might lead one to question the cable’s dynamics; such fears would be groundless as these cables allow my system to have honest real to life, live-performance dynamics. Not only do they allow such macro-dynamics in my system, they also improve my system’s micro-dynamics. As the CT-1 break-in, their total lack of splashy-sounding transients is so much more like what a live musical performance really sounds like. The transient responses are lightening quick, but not bright. Drums, tympani instruments, plucked strings, and pianos are the best I’ve heard in my system. Both micro and macro dynamics explode out of a solid soundstage. This creates a sense of naturalness and speed that I have not experienced before. I have to admit I am struggling to explain this sound, because as I said before these cables remove noise, sibilants, and splashy sounding strings and female vocals that I just thought was part of listening to recorded music. Don’t get me wrong — I thought my system sounded as good as any I had heard, before I put the CT-1s in. The CT-1’s pass my top end test with flying colors. That test is that I don’t notice the treble when listening to music. I don’t want a sound that keeps reminding me of how fast and detailed the top end is. I also don’t want a sound such that I’m always thinking the top end is not quiet. With the CT-1s in my system the sound is fast, natural, alive, and simply beautiful. Cymbals have realistic sheen and decay without sounding splashy, such as I have never experienced before. This cable has a neutrality that is to die for. It gave me a cleanliness in the upper midrange and treble I had never dreamed possible. These cables improve all aspects of the frequency spectrum but it is in the midrange that they really sound different from any cables I have heard. Midrange is full with great bloom, but it doesn’t overpower the fine details of the music. Voices are simply wonderful, full of body, and with really natural air. The midrange is the most transparent I have ever heard in my system without giving up any of the body and soul music must have. I have heard great transparency before, but usually it reaches a point where the most transparent systems don’t let you hear all of the beautiful colors of music. That is one of the things I find unique about the sound of my system with the CT-1s; it is the most transparent I have ever heard it sound, allowing me to hear more of the beautiful colors and tones of music than ever before. It’s not just transparency though; it’s the way the cables increase the system’s ability to let you hear more of the layers of a musical performance. On Satchmo’s famous recording of “St. Jame’s Infirmary,” for the first time I noticed how beautiful the layering was on the woodwinds. Truth is, I don’t think I’d ever noticed them before. The brass and drums also had beautiful layering of the sounds. I’ve never heard the midrange of my system to sound better. The bass is tight and really fast; but, and this is key, with great air and decay. It is also very powerful with very natural slam. It’s the kind of bass that can make you sit up in the chair and listen whether it’s a big drum, an organ, or a bowed standup bass. Speaking of standup basses, weather plucked or bowed, I never hear them sound so real. That is rich, full of color, and really fast. I really enjoy the way my system produced a soundstage with the CT-1 cables. None of that phasey, floating in space that is often mistaken for a lifelike soundstage. No, while the soundstage is wider now and especially deeper, more important to me is that the images were solid, stable, and occupied space. You could more easily hear the space around them and the space they occupied. To me, this is what real soundstaging and imaging are all about. This solidity in the soundstage contributes to the lifelike scale my system had with these cables. I should mention though, over time I have really come to appreciate how much wider and deeper my soundstage is with these cables. It has been years since I thought interconnects made a really big improvement in my system. Yes, many have made changes that I would say refined the sound of my system; I thought the cables I had were so good that only small improvements would come from a change. I was wrong. I want to say it again, these cables eliminate noise that I had previously assumed was part of recorded music. Thanks Rick, for a great product and I can’t wait for the phono cable and hopefully, some speaker cables. Rick … If I promise to never share them is it possible to get the lost Oddiophile episodes? I loved the ones still shared. Learned a bunch.